There are few things more frustrating than reaching your hand into a bag of chips in anticipation of the crunchy texture, only to find they have become soft and stale. 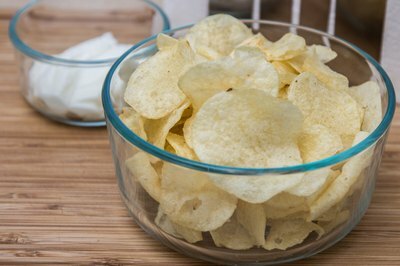 Although you won’t get that instant chip gratification, you can use a relatively quick trick to restore the freshness of your snack and satisfy your craving. 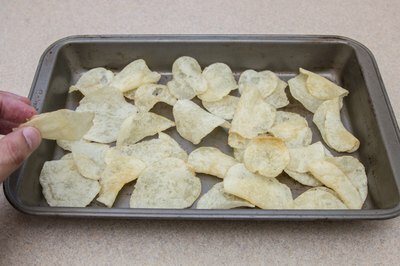 Preheat your oven to 350 degrees Fahrenheit or your toaster oven to 300 F.
Spread the stale chips in a single layer on a cookie sheet or piece of aluminum foil, maintaining space between each chip. 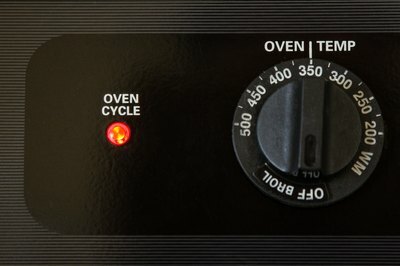 Put the chips into the preheated oven on the center rack so the heat can remove the moisture that makes the chips soft and stale. Sample a chip after 3 minutes to check for the desired level of crunch. Keep baking for an additional 1 to 2 minutes if necessary.